Whether you’re an individual or a growing team, we will make space for you. Mid-Towne Works is a co-working space located in midtown Mobile, Alabama. With its unique organic designed interior, supportive community and incredible location Mid-Towne Works is certain to make you fall in love with work again. We have beautiful newly renovated facilities with great natural light, an incredible location, and helpful supportive staff. Our memberships are very accommodating and incredibly reasonable. We provide professional and affordable office spaces available for time frames that fit your needs. In addition, we also offer virtual offices and meeting rooms in our beautifully unique building. Each office space is fully-furnished with high-speed wireless internet access. Utilities, copying, scanning, printing, faxing, daily cleaning and fresh coffee are all included when you reserve an office with us. With an astounding collection of amenities and services, Mid-Towne Works allows you to focus all your energy on getting the job done. Looking for something a little different? Want some work space without the overhead? Only need space to work a couple of hours a day or a couple days a week? Or do you need a longer term say six months or more? We understand that everyone has different needs and here at Mid-Towne Works, LLC we have designed a co-working center that is the answer to your needs! 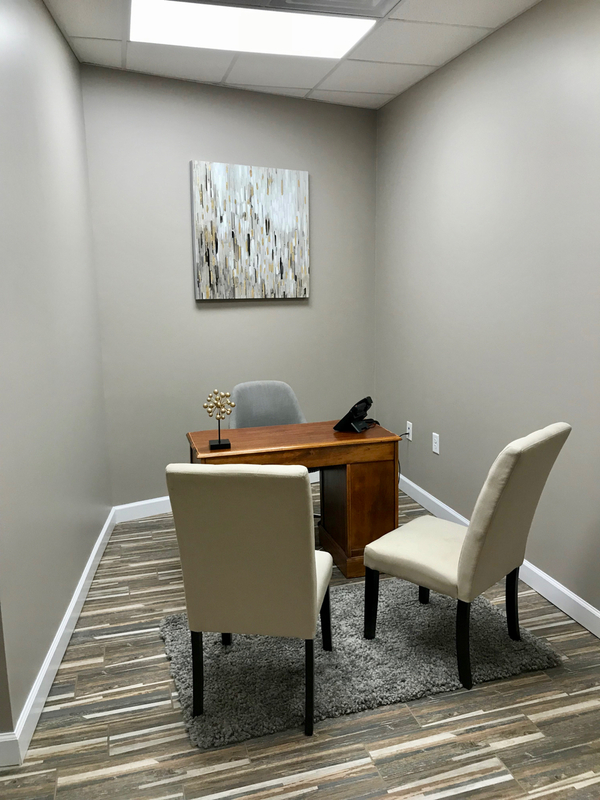 Conveniently located in midtown Mobile with plenty of parking, our co-working facility operates as a catchall work space for those who may need an office but not every day.